The property was left empty for many years. During this time the timber door canopy went missing. It was unclear what the door canopy looked like until photographs emerged showing it. The door canopy was considered to be long lost until it was found in a scrap yard by The Temple Trust. Recognising the door canopy, they bought, restored and looked after it for several years with the hope it would be put back in its original place. 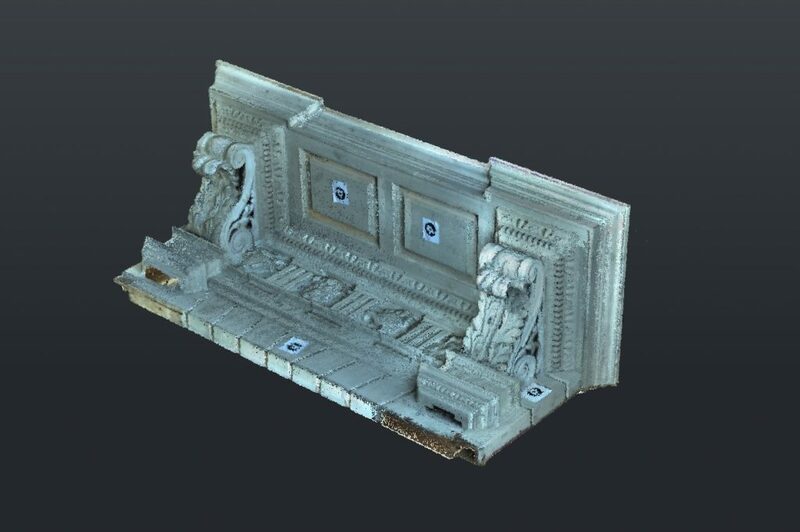 H+R used 3D scanning technology to create a 3D model of the door canopy. All sides of the canopy and pilasters were able to be scanned. Using the 3D model on the computer, 2D line drawings were able to be created to scale. An accurate visual record of the door canopy and pilasters was able to be created. If the door canopy was lost again in the future, it would be possible to re-create it using these drawings and 3D model. The 2D drawings and model showing the top and rear of the canopy and pilasters enabled historically accurate reinstatement as part of the refurbishment.